Gastrology visited La La La Osteria on behalf of the Australian Good Food Guide. Imbuing a seductive vibe that Italians bring so well, La La La adds Italian flair to Adelaide’s thriving bar and restaurant playground. A dining room, with dark tones, wood and splashes of velvet, La La La delights with classic Italian flavours made with Australian ingredients in a modern setting. The venue is one that embraces fine food, but maintains a relaxed neighbourhood restaurant vibe. 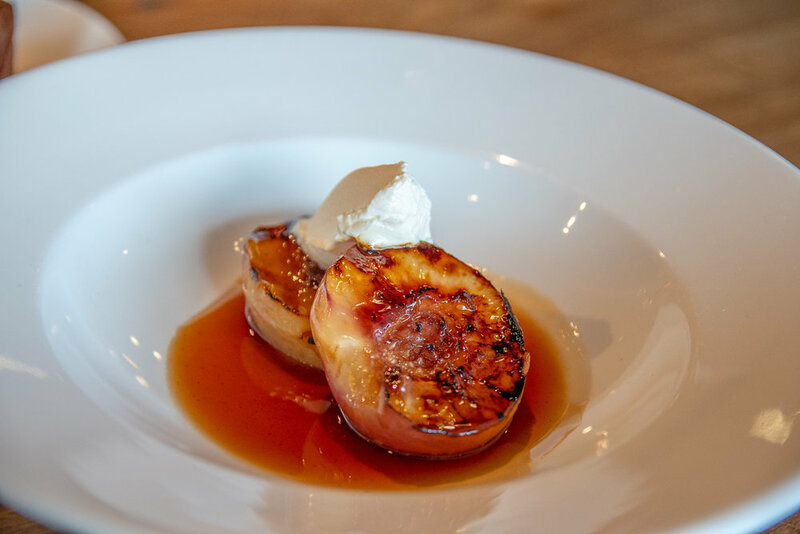 The kitchen is in safe hands under the guidance of head chef Marco Furlan with a menu that features memorable Italian dishes made with locally sourced produce. Whatever you choose, you can’t really go wrong here. To start there is the Pizzeta – simply moreish pizza bread with the classic trio of garlic, rosemary and sea salt. The BBQ calamari is similarly delicious and was cooked to perfection and seasoned with chilli and herbs. As expected of any good Italian restaurant, these guys make amazing pasta. We tried crab fettucine and were not disappointed – ribbons of al dente pasta were adorned with sweet morsels of crab and reduced in rose and stock. Just beautiful. For something heavier, the restaurant’s famous duck risotto is a crowd pleaser. Simply irresistible, the rice in the risotto was puffy and al-dente and coupled with generous amounts of tender braised duck and earthy porcini mushrooms. The Saltimbocca Veal also deserves a special mention. Tender veal served with prosciutto for just the perfect touch of salinity in a wine and sage jus was to die for. It was a hearty dish that felt like a warm hug from nonna. Dessert time at La La La is particularly memorable. 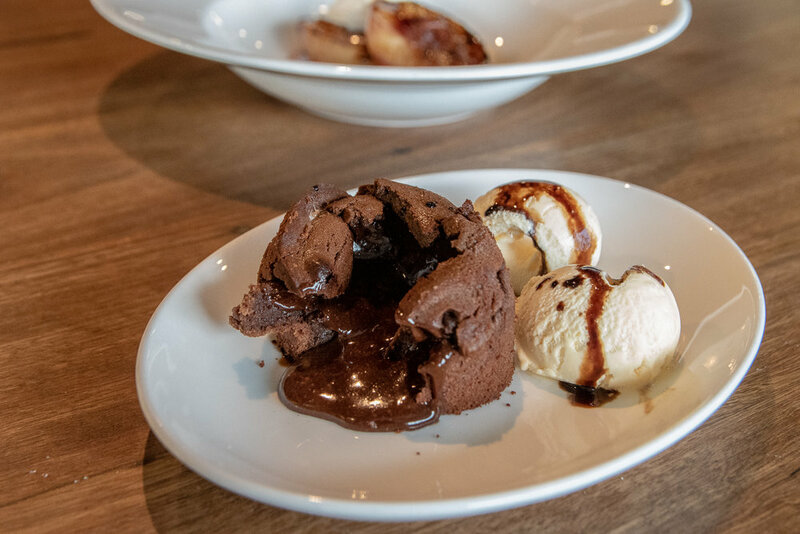 The chocolate fondant was a classic chocolate lovers dessert that was executed to perfection while the dessert of peaches and mascarpone had us fighting for the last morsel. On the drinks front, patrons will be pleased with a commendable wine list that spotlights South Australia. Boasting classic Italian hospitality and flavours, La La La is a dining hotspot. A must visit when in Adelaide.